Health chief was told FIVE YEARS ago that patients were at risk but failed to follow advice… so why is she still in a £240k job? Pressure was growing last night for an under-fire NHS boss to quit her £240,000-a-year job after fresh allegations her trust ignored warnings that could have saved lives. A whistleblower says Katrina Percy failed to act after being told Southern Health NHS Foundation Trust was housing suicidal patients in rooms full of places they could hang themselves. Health and safety consultant Mike Holder wrote in a damning report that the trust, responsible for 45,000 vulnerable people, did not consider patient safety part of its ‘core business’. Mr Holder told The Mail on Sunday he emailed his dossier directly to Ms Percy, who was then the trust’s chief executive, nearly five years ago – but his warnings went unheeded. Ignored him when he told them safety systems were ‘dysfunctional’ – a failing he feared would result in patients being able to kill themselves. Mr Holder had been commissioned by the trust to investigate health and safety in 2011 but resigned after three months because he was so concerned by what he found. His views were backed by relatives of patients who hanged themselves in trust facilities using ligature points that should have been removed. An internal review found ‘no evidence of negligence or incompetence of any individual board member’ at the trust and announced Ms Percy could keep her job. But two weeks ago she stood down as chief executive of Southern Health, claiming ‘media attention’ was making it impossible to do her job. However rather than give up her £240,000-a-year remuneration package, including her £190,000 salary, she moved sideways to a job created for her, giving strategic advice to GPs. She was the only applicant. Last night, former health Minister Norman Lamb called on Southern to sack Ms Percy if she was ‘not humble enough’ to resign herself. He believed the situation at Southern Health revealed ‘a terrible failing of corporate leadership at the top of the health service’. Southern Health last night told The Mail on Sunday ‘considerable improvements’ had been made since 2012, with more than £2 million spent making its buildings safer, but gave no indication Ms Percy would quit. Riding instructor Teresa Jane Colvin strangled herself using a telephone cord from a communal kiosk within 48 hours of being admitted to Woodhaven Hospital in Southampton. The danger posed by the kiosk, which was out of the sight of staff, had been officially noted in 2009 – three years earlier. But nothing was done. 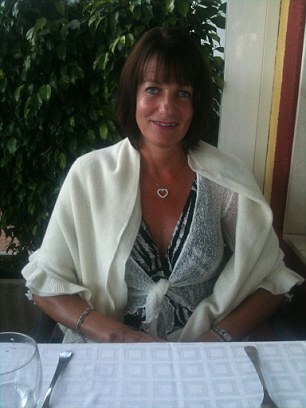 Southern admitted liability for 45-year-old Mrs Colvin’s death. Last night Mr Colvin told The Mail on Sunday he was ‘astounded’ to hear Southern had been explicitly warned of ligature point risks in 2011. Mrs Colvin suffered bouts of Post Traumatic Stress Disorder after suffering abuse as a child but they only tended to last a few days, said her husband. She was often ‘very well’, putting huge energy into her horses and beloved labradors. The trust first hit headlines last December when a report commissioned by NHS England concluded it had failed to investigate 450 ‘unexpected’ deaths between April 2011 and March 2015. That report only took place because a grieving mother, Dr Sara Ryan, asked why her epileptic son Connor Sparrowhawk, 18, had been left alone in a bath at one of Southern’s units in 2013.He had a seizure and drowned. It took three years for the trust to accept responsibility for his death. But Mr Holder’s report, in February 2012, reveals bosses were warned about an apparent cavalier attitude to patient safety long before Connor died. Mr Holder compiled the report a week after resigning, three months into a six month contract as interim head of health and safety. In his resignation letter to Ms Percy, he said he was not supported by the trust’s board, and believed patient safety was way down its agenda. Rather than deal with his resignation personally, Ms Percy handed it on. Dr Huw Stone, medical director at the time, asked Mr Holder to spell out his ‘serious concerns’ in more detail. Mr Holder thus compiled a 13-page report supported by numerous email exchanges with staff. He told Southern Health such an attitude – in an NHS trust responsible for society’s most vulnerable and unstable – manifested itself in poor safety checks and record keeping of incidents where people came to harm. I essentially warned them: ‘Your safety systems are dysfunctional and because of this patients will succeed in killing themselves.’ But they didn’t listen. In particular, he identified a dramatic increase in patients trying to hang themselves in Southern’s secure units over the previous five years. He discovered little action had been taken to eliminate potentially lethal ligature points, such as door handles, lights, beams and pipes, he said. He recalled: ‘What I found was really quite shocking. Southern’s way of assessing potential ligature points across its estate was also inadequate, he found, so he started a review. In early February 2012, he put his findings to a senior manager, who suggested the trust had to ‘tolerate a certain degree of risk’. Furious, Mr Holder emailed back a warning that under law Southern had ‘an absolute duty to ensure the safety of its patients, particularly those that are vulnerable’. 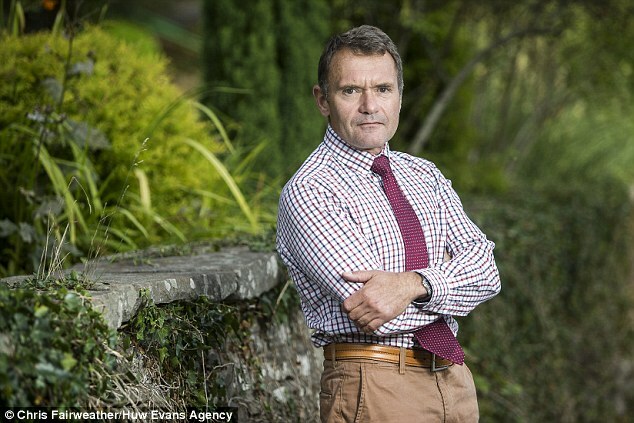 Powys Local Health Board in Wales had been fined £30,000 and ordered to pay £46,850 costs after a suicide, because the NHS body had ‘failed to provide a safe environment for a vulnerable patient’, he told them. Two weeks later, frustrated at the lack of action, he resigned. In his report, he further wrote that management erroneously believed ‘that ligatures are being managed effectively’, despite a ‘consecutive and significant increase in [ligature] events over the last five years’. His report also identified ligature points in patients’ rooms at Ravenswood, a secure unit outside Fareham, Hants, and concluded the trust was breaching multiple health and safety laws. Two months after his report, Teresa Colvin killed herself using a telephone cord ‘as long as a washing line’ at Southampton’s Woodhaven Hospital. And in August 2014, biochemistry graduate James Younghusband, 30, hanged himself in his Ravenswood room from a downpipe that should have been removed. 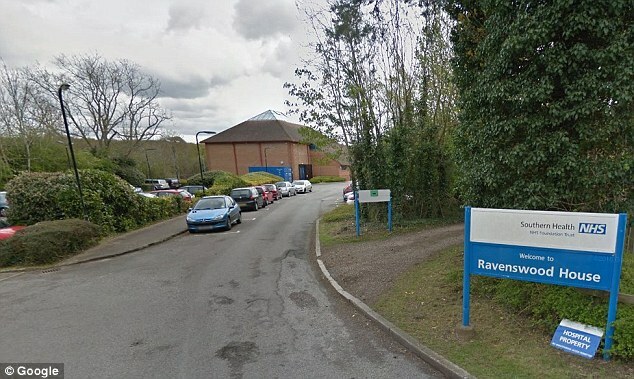 The following February – three full years after Mr Holder’s warnings – the Care Quality Commission concluded Ravenswood was ‘unfit for use’ because ligature points posed a danger to suicidal patients. That was not all. This April, the CQC ordered Southern to make ‘urgent improvements’ to protect patients ‘at risk of harm’, concluding ‘it did not adequately ensure it learned from incidents to reduce future risks to patients’. A spokesman for Southern Health NHS Foundation Trust said: ‘We express again our sincere apologies and condolences to the family and friends of James Younghusband and Teresa Colvin. ‘We fully accept they were failed by the trust and we are working extremely hard to ensure we never let this happen again. ‘The safety of people using our services is of utmost importance. Mike Holder’s report was reviewed in 2012 and considerable improvements have been made since. ‘Reducing risks associated with ligatures is a top priority. We have spent over £2 million to remove or minimise the risks of ligature points. The Samaritans can be called free, at any time, on 116 123. And who reported the Teresa Colvin case to the Health & Safety Executive? Not Southern Health, not the Coroner and not the CQC. I spoke to the Regional Director of the Health & Safety Executive and sent him a newspaper cutting – it was the first he had heard of it. The BBC report that the HSE is now carrying out a criminal investigation. I will make it my business today to check that the HSE knows of the Younghusband case too.